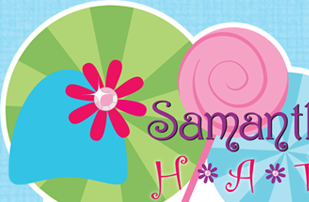 Samantha’s Hats is the creation of a mother whose 4-year old daughter was diagnosed with cancer. Grandma’s knitted hats were simply not sassy enough for her princess. Comfort, style and the softest materials is what she was looking for. Once the exquisite top quality fabrics were found and the workmanship perfected, Samantha’s hats was born. We are proud to say that our cotton cuffed hats and our cotton knit headbands are made in the USA. 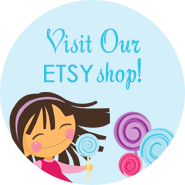 Our hats are made in vibrant colors and adorned with fabulous blossoms that will brighten any child’s face and make anyone who lays eyes on them smile. 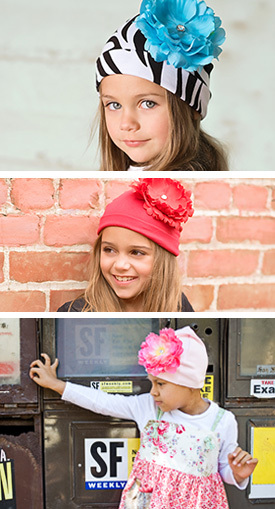 You will see that Samantha’s hats and accessories can be worn by all children, with our without cancer.